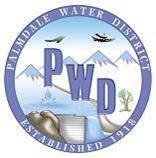 PALMDALE – The newly formed Palmdale Recycled Water Authority (PRWA) is accepting applications for one non-paid Board Director to fill a term that will expire on March 19, 2014. The deadline to return applications is Monday, February 11, 2013 at 6 p.m. to the Palmdale City Clerk’s department, located at 38300 Sierra Highway, Suite A in Palmdale. Applicants must be residents within the boundary of the PRWA (as shown on the map here), demonstrate an interest in the use of recycled water, have the ability and willingness to attend regular meetings of the Board that currently meets the third Wednesday of each month at 7:00 pm, and file the required Statement of Economic Interests, Form 700. Interested persons may pick up an application/volunteer form at Palmdale City Hall in the City Clerk’s Office, or download one online at www.cityofpalmdale.org. Applicants are encouraged to submit a resume. Applications and resumes may be mailed to the City Clerk, 38300 Sierra Hwy. Ste. A, Palmdale, CA 93550. The PRWA was created through an agreement between the City of Palmdale and the Palmdale Water District (PWD) to jointly study, promote, develop, distribute, construct, install, finance, use and manage recycled water resources created by the Los Angeles County Sanitation District Nos. 14 and 20 for any and all reasonable and beneficial uses, including irrigation and recharge, and to finance the acquisition and construction or installation of recycled water facilities, recharge facilities and irrigation systems. The PRWA is governed by a Board of Directors, consisting of two members members appointed by the City of Palmdale, two members appointed by the Palmdale Water District and one jointly appointed member by both the City and PWD. The Board conducts or provides authorization to conduct all business and activities of the PRWA consistent with the agreement, documents, the operating rules and regulations, and applicable law. Meetings of the PRWA are governed by the Ralph M. Brown Act (Govt. Code Section 54950 et seq, the “Brown Act”).